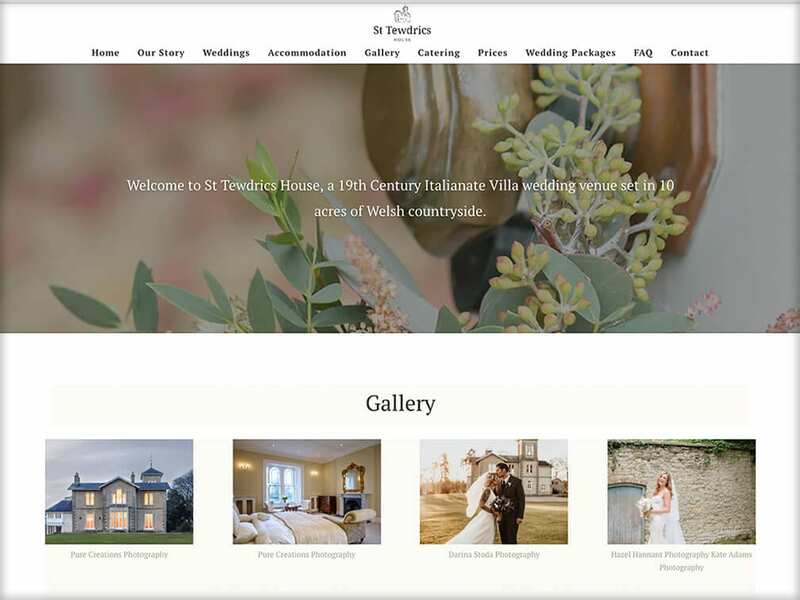 St Tewdrics House is a 19th Century Italianate Villa wedding venue set in 10 acres of Welsh countryside. 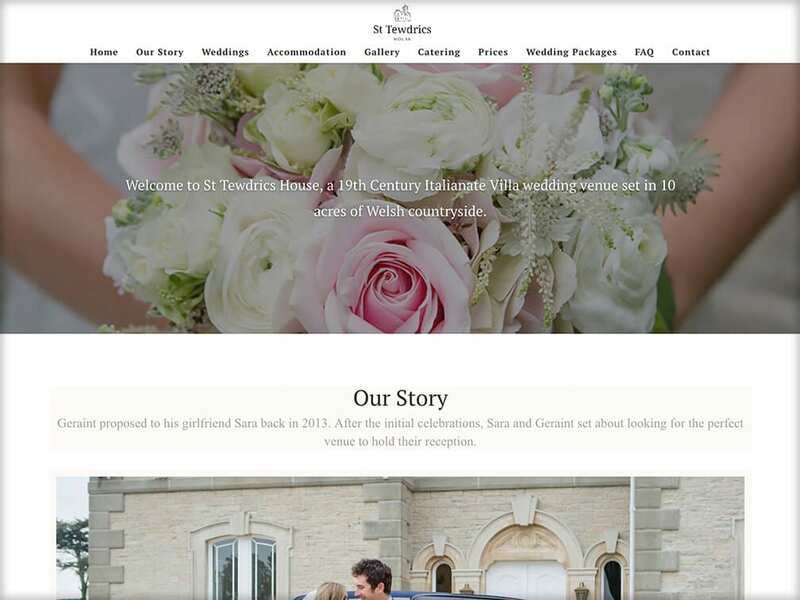 St Tewdrics House is owned and run by Tour de France 2018 winner Geraint Thomas and wife, Sara Thomas and their family. 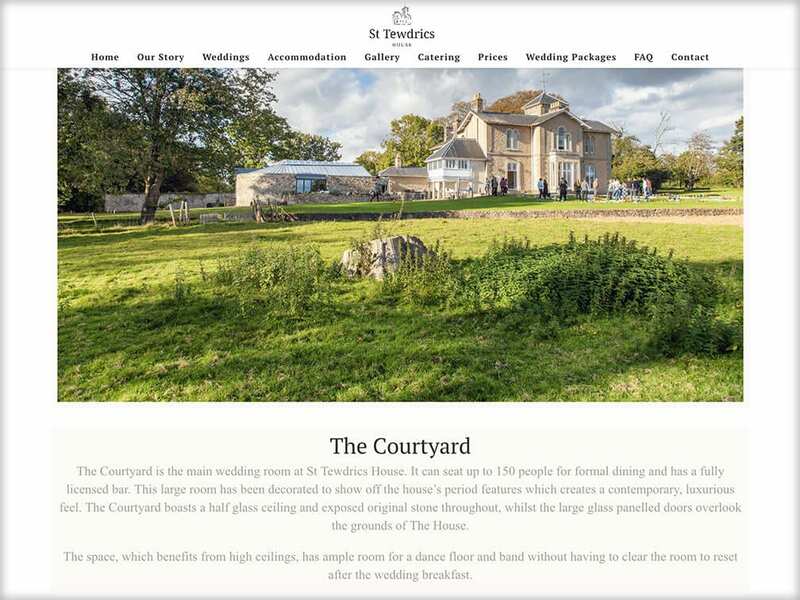 There are no specific wedding packages or corkage fees at St Tewdrics, this gives you the flexibility to tailor your wedding to suit your individual needs enabling you to create the wedding of your dreams. They wanted a clean cut and minimalistic website to portray this.